The Public Works Department constructs and maintains the infrastructure necessary for the basic needs of the City of Jefferson. This includes a safe and reliable road system, healthy and plentiful water supplies, a well-functioning storm drainage system, and proper treatment of waste water. Each time it rains, water washes over our streets, driveways and yards picking up pollutants along the way and flowing into our storm drains. This runoff may contain pollutants such as motor oil, yard clippings, pet waste, litter, lawn chemicals, anti-freeze or other toxins, which can pollute our water supply as well as clog pipes and culverts which can lead to flooding. Known as “Non-Point Source Pollution”, it is the largest threat to our waterways today. Sometimes pollutants are dumped directly into storm drains by neighbors who don’t know any better. Contrary to popular belief, most storm drains are not connected to treatment systems, whatever enters the drains is discharged directly, untreated into local waterways! TO REPORT ILLICIT DISCHARGES TO STORM DRAINAGE'S, CALL 541-327-2768 AND PRESS 0 FOR AN OPERATOR. 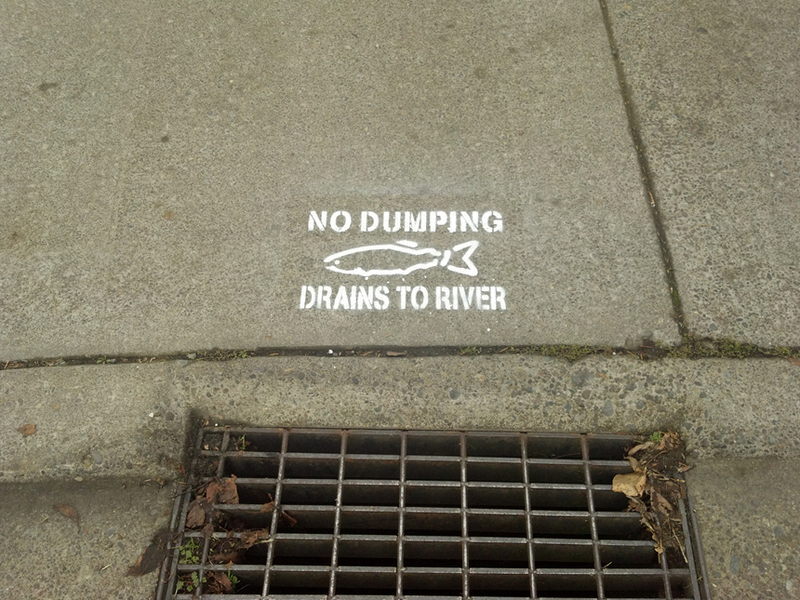 The storm drains inlets on your streets are being marked with a colorful marker, like the one displayed, with a pollution prevention message. You can help by using the following tips to prevent pollution. * Use fertilizers, pesticides, and herbicides sparingly and follow the manufacturer’s instructions. * Keep yard waste, trash, and dirt off the street and out of the gutters. * Wash your car at a car wash facility or park your car in the grass before you wash it. 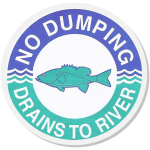 * Spread the word about protecting our waterways from polluted runoff.